Destiny is a first-person "shared world" video game, created by Bungie, best known for their work on the Halo series up until Halo: Reach. All of these names, lore and other related things to it, is theirs. This section was written as a quick(at least that was the original intention) rundown on Destiny's world and backstory. It got a hell of a lot longer than intended. 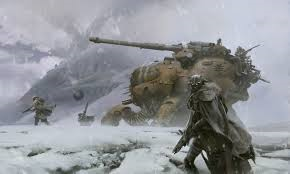 Destiny takes place in a futuristic version of our own timeline, hundreds of years after an era known as the “Golden Age”. The Golden Age began after mankind discovered an entity was terraforming Mars, and had already completed doing so to most of the other planets in the Solar System. 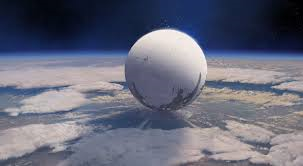 Upon investigation, we found what would come to be called the Traveler, a giant white orb. The Traveler would assist in helping Earth’s citizens expand to other planets and beyond, with the human race experiencing a long period of peace, and advances in technology. While the things we didn’t know about the Traveler were likely numerous, the largest detail that was omitted to us was that the Traveler was being pursued by an entity referred to as the Darkness. Upon its arrival, the Golden Age ended, and we moved into a time known as the Collapse. The details of the Collapse were lost due to the nature of it, as our far out colonies began to slowly cease to respond, and we were continuously pushed back by unknown forces. As far as we were aware, the only thing that saved us from it was the Traveler. What remained of humans was scattered across Earth, eventually coming together to form the City, also known as the Last City. The Last City would be just that, the last known city, and the last known sanctuary of the Traveler and the races that stood under it, which included humans, Awoken, and the Exo. Humans are descendants of those that once ruled Earth. 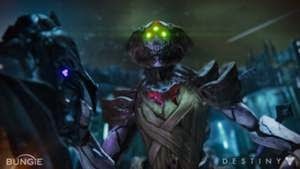 Awoken are a race that surfaced out of the Reef, an asteroid belt littered with the parts of ships that had attempted to escape Earth. Little is known of the Awoken that live in the Reef itself, aside from that they are ruled by a queen who is referred to as only such. Those that reside away from the Reef are met with suspicion equal to the other races of the system. Exo are humanoid robots, built at an unspecified time to combat an unknown threat, whose inner workings have been lost to the ages. Sentient, Exos can be considered just as ‘human’ as anything else. in among the ranks of the Guardians. Most Guardians fall into one of three categories, each with their own ‘Vanguard’ to command and guide that section of the Guardians. Titans are known for their heavier armor, and for being at the front and center of any fight. Hunters on the other hand are known for their preference for distance, accuracy, and at times stealth. Warlocks are the scholars among the Guardians ranks, known for their research into ways of channeling the Light, whether through pure methods or through ‘the Void’. These Guardians are the first line of defense against species of aliens which appear to fight for the Darkness, but are also known to fight against each other for territory. The Fallen are scavengers, who appeared after humanity’s collapse. Insignias and colors imply that they once far more powerful than they once were, though their individual, warring ‘houses’ still remain. Their lowliest members include dregs, two armed creatures hoping to one day earn their way up to having four, which would make them Vandals, who eventually hope to earn enough of a following to become Captains. Each house is united under either a Kell, a large, powerful Fallen, or a Servitor, a large, floating purple eye-like creature, that are usually objects of worship. The Hive are an ancient, undead-like race, whose battle with humans can be traced back to the end of their Golden Age. Ranging in size from the humanoid Acolyte to the hulking Ogre, the Hive’s spread is extremely hard to tell, as they work mostly underground, surfacing to strike from caves. 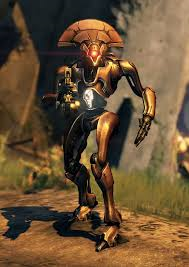 The Vex are a robotic race, capable of manipulating space to teleport, as well as having an unknown grasp on the ability to bend and manipulate time itself. Connected through a vast Collective, the Vex are known for their entrance through dark clouds, and their constant advancing. 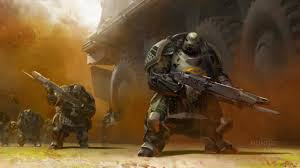 The Cabal are a species of large creatures, known best for their large environment suits fitted to allow them to survive on planets with gravity far less than their own. Equipped with the ability to boost from position to position, the Cabal supplement their slower movement with large siege weaponry, ranging from tanks to weapons far beyond belief, to the point where they have earned the reputation of destroying planets “just for getting in their way”. 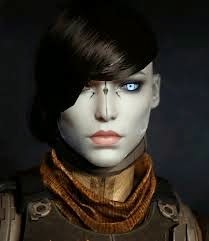 Guided by their Vanguards and the Speaker, an ancient scholar of unknown origins who speaks for the Traveler until it finds “its voice”, Guardians are expected to combat these various threats, all the while seeking out new ways to help restore their place in the universe, and heal the Traveler. 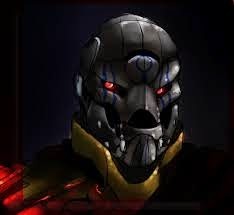 The Guardian turned his head slightly to look at the other man, his expression of annoyance at the Guard Captain hidden by his helmet. They paused as the ground in front of them reached a steep drop, the men trailing behind them halting as well. Below them the sand and earth of the desert had been moved, a quarry having been left in their place. A number of metal buildings were scattered across the floor of the quarry, amidst mining equipment, all covered by years’ worth of sand that had been blown back into the giant bowl. “Looks empty,” the Guard Captain said, pulling a small spyglass from his belt to observe the ground below. The Captain only nodded in return, ruining his expectations of a smart remark, or some form of resistance. Slowly making his way up to his post, the Guardian couldn’t help but notice the vast expanse of desert that stretched out not just beyond the quarry, but in every direction. It reminded him more of his brief stint on Mars than it did anywhere else he had seen on Earth. If not for the few buildings below and the one that would soon be his snipers nest, it would have been nearly impossible to know if humans had ever even seen the inside of the desert. “This isn’t a good idea,” the familiar voice of his Ghost stated, popping into existence behind him. “It is called being a realist, apparently,” the floating piece of metal responded. “Been digging in the Cryptarch’s dictionaries again, I see.” The Ghost’s lack of response made him grin ever so slightly. The area overlooking the quarry was simpler than he had expected it to be. A long metal platform extended slightly past the steep stone wall of the quarry, offering whoever dared to stand on the aging piece of rusted metal a good view of most of the operation below. At one point a small metal chair must have sat at the edge of it, the small mark of where the legs had been still remaining. At the end of the platform that still made contact with the ground stood a degrading shack, which was made of two rooms at the most. One of the windows had long ago been left open, and sand poured out from inside. He stepped with caution onto the metal platform, wincing at the loud groan that the action produced. Repeating the process, slowly stepping forward and taking the time to grimace at the groans of the metal, he eventually reached the edge of the platform. Kneeling down, he drew the rifle that had been slung on his back, pressing the visor of his helmet against it, hand working to slowly adjust the scope until his view of the party below was clear. “What’s your guess on the wind speed?” he asked to the empty air. Below, the set of soldiers began a slow advance into the quarry, looking more like ants moving across the ground than people. The platform creaked again, causing him to tense, waiting for it to give way, yet it remained where it had for years. “Har,” he responded, trying not to groan at the horrible pun. He turned his body slightly to be able to look towards the caves, waiting. It was only a matter of time. Pulling the bolt of the rifle back, his breathing slowed. The platform creaked yet again. The Guardian froze, a feeling of pressure appearing on the back of his neck. Small and narrow. Like the barrel of a gun. The voice came from behind him and to the right. Whoever it was had to be of the more civilized races in the system, at least that was his guess considering their choice of language, female, based on the pitch of the voice, and potentially left handed, considering they holding the gun more to the right of his neck. That was only if they were facing the quarry, though. He tried to look over his shoulder, but didn’t risk overdoing the motion, and instead only caught a glimpse of his own cloak. “Something’s coming,” the voice of the Guard Captain trickled through again. His gaze returned to the rifle’s scope, which was still focused on the cave entrances. The Captain wasn’t wrong, though ‘something’ was very much an understatement. “They’ll die,” he said, attempting to not sound hostile, and failing completely. The city guards didn’t wait long, opening fire on their attackers almost immediately. As their weapons ran dry and their would be ends drew closer, some of them resorted to swinging their guns as though they were cudgels, finishing off the remaining feral monstrosities. He let out a sigh of relief, focus turning to the caves as the guard reloaded. “They can survive a group of Thrall. That bodes well for them.” His head turned in her direction again, a frown forming on his face. The Guardian’s attention returned to the battlefield below as shots began to ring out once again. More figures were emerging from the cave, some of similar height to their human opponents, others towering over them all, ally and opposition alike. Their flesh was nearly as black as the caves they were exiting. The city guard let off a few shots, before retreating to the hollow buildings they had passed by earlier, the Acolytes and Knights of the Hive firing on them. At least three of the squad of fifteen falling. Tempting as it was to begin covering their retreat, he was still well aware of the weapon pressed against his neck. There had to be a way of removing it. He jerked his elbow back, making contact with her leg, pressure leaving his neck as she staggered backward. Turning quickly to follow up the blow, a strike from her right fist met him, sending him to the ground, flat on his back. She slowly approached him, adorned in a purple overcoat, the rest of her attire matching. The purple helmet that hid her face was turned down towards him, the darkened visor hiding its owner’s expression just as his own did. She held a revolver in her left hand, pointed directly at his chest. “It’s rude to interrupt someone while they are in the middle of something,” she said. Her head tilted to the side slightly, as if to ponder his words for a moment, before her attention returned to the battle below. “They’re doing far better than you expected them to.” She spoke as though she was observing an ant farm. Despite her words, going off of the noises coming from below, his conclusion was far grimmer than hers.